Indian weather can be so intense that the sunrays take a toll on the skin despite slathering on copious amounts of sunblock. To be rewarded with a glowing complexion therefore remains a challenge in our country and one needs to follow a strict skincare regime…. Overcoming this hurdle means keeping time aside for weekly purifying masks, spot-lightening serums or a daily brightening night cream which can go a long way in combating sunspots and pigmentation. 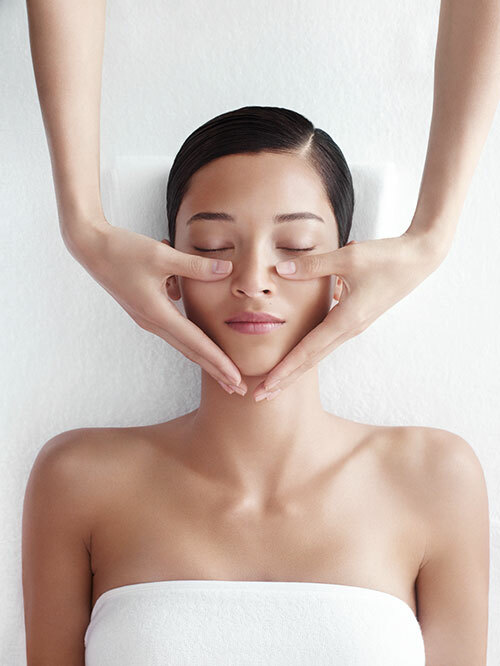 Another indulgent way to reverse the damage is to be regular with your spa appointments. Gentle facial treats with natural antioxidants can also soothe, purify and rejuvenate your skin. Here’s our pick of the coolest treats for the face…. Often pressed for time, our beauty routine gets limited to cleansing and moisturising. This takes a further beating in summer months when it is too hot to apply any lotion. “But the skin needs most attention during this time,” explains Valerie Culmann, manager, spa, training and education, Jean-Claude Biguine. I asked for a professional intervention to salvage my face from the challenges of city life — pollution, stress and lack of sleep. After an in-depth consultation, I was booked for Phyt’s Balancing Facial. No preservatives, no chemicals? 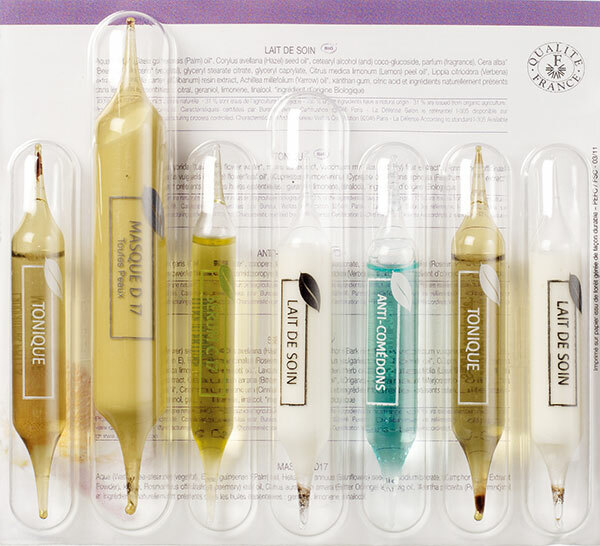 Known as ‘nature in a tube’, the French brand is renowned for its commitment to organic ingredients and does not need preservatives, thanks to the innovative single-use packaging in glass vials. 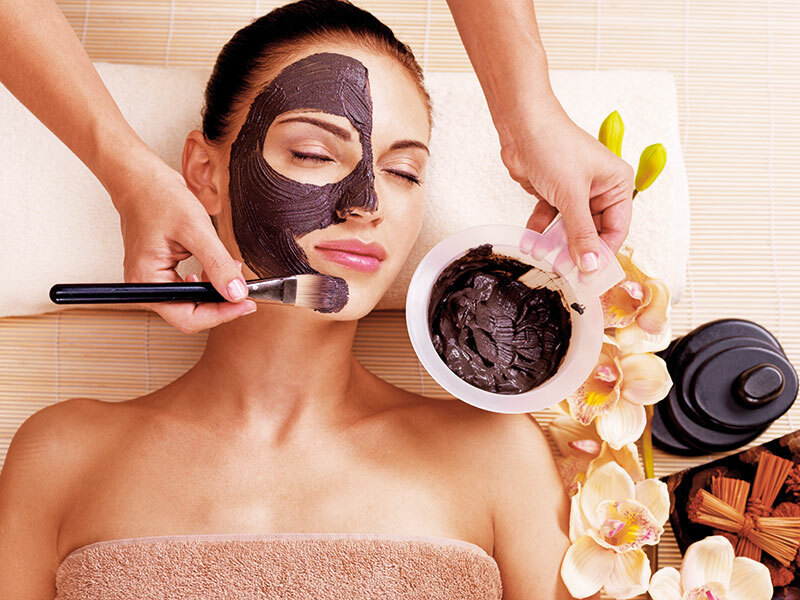 The facial started with a thorough cleansing of the skin to remove make-up and impurities. Next, an exfoliant was applied with a brush, and once dried, rubbed off gently with fingers. Culmann believes that this procedure can make all the difference, even at home. “A good scrub can remove dead cells, giving you instantly brighter complexion. We put our clients under the steamer to ease the extraction of comedones and to oxygenate the skin.” For the massage, in place of a cream, a blend consisting of the refreshing notes of camphor (to decongest), thyme (to purify) and cypress (to tone the skin) is used. Despite my persistent attempts to keep awake, the distinct scent of the oil transported me to a dreamy, serene space. 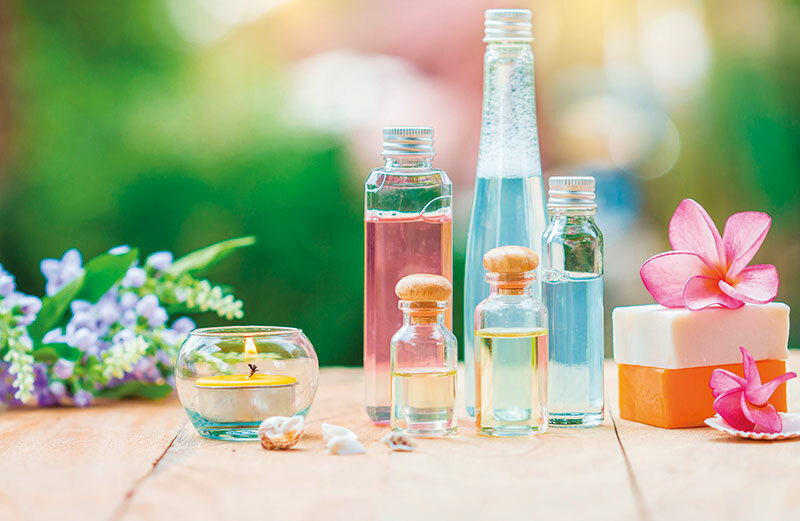 “Textures and fragrances are adapted to suit each product’s purpose; a velvety texture goes well with skin that needs pampering; a lighter one for skin that needs purifying. Fragrances are plant-based and can be floral, fruity or sweet and spicy,” informs Culmann. As a finishing touch, and also to close the open pores, a purifying mask was applied to absorb excess sebum and also moisturise the skin. After the treatment, it felt fresh and visibly brighter. To maintain the flattering results, the treatment is advised once every three to four weeks. For a great facial, ask for a scalp massage or an eye treatment. Relaxed muscles around the eye area, temple and neck make you look and feel refreshed. In the world of Clarins, there is a perfect synergy between nature and science. The new TriActive facials are effective, and a treat for the face and eyes, with a special focus on the décolletage and hands. My initial skin analysis was carried out without using any gadgets at the Clarins Skin Spa, at Kemps Corner, Mumbai. I was recommended the Radiance Smoother. “Think of it as a multivitamin for the skin, which restores its health and also prevents early wrinkles. In summer, the skin tends to become lifeless, stressed, tanned and dehydrated. Post treatment, it is intensively detoxified and recharged due to the ingredients — a cocktail of antioxidants and revitalising plant extracts,” explains Meeta Awatramani, training manager, Clarins India. As the brand believes that no machine can replace the sensitivity, gentleness, warmth and instinctive precision of the hands, all Clarins treatments are 100-per-cent manual. The blissful odyssey started with a sensorial awakening; using a mix of breathing exercises and aromatherapy, the therapist put my body and mind at ease. Next up was the removal of make-up, without the rubbing or stretching of the skin. The awareness that my skin would not be tugged during the procedure helped me calm down. The next step involved exfoliation: a micro-granular formulation eliminated dead skin, and later, an enzymatic gel stimulated cellular regeneration. Then arrived the moment I had been waiting for — a super pampering massage. Precise pressure was applied with hand and fist to improve blood circulation and facilitate lymphatic drainage. The therapist selected an anti-ageing mixture of three high-performance ingredients which have skin-firming properties: lemon thyme which prevents slackening, green banana extract which stimulates the synthesis of collagen fibres, and sugars, from oat seeds, which have firming qualities. As the face-eyes-décolletage mask was applied, the nimble fingers kneaded their way through my scalp for an intensely tranquil experience. I wasn’t really sure if my face was any slimmer, but it certainly was brighter, smoother and clearer. Definitely worth coming back for! The treatments are more effective and long-lasting, if you follow up the facial with the at-home care products from the same brand. Located on Mumbai’s iconic Marine Drive, Myrah Spa is a haven for the city’s dwellers. 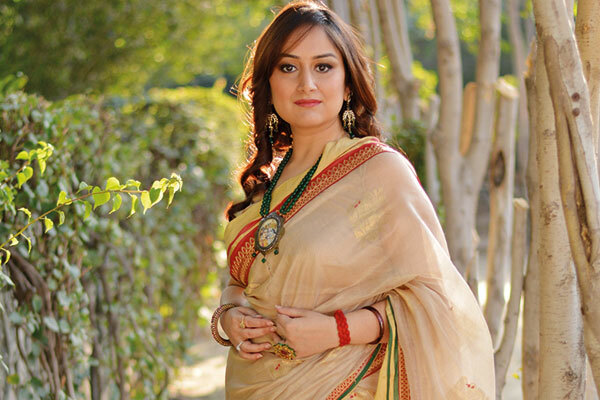 I visited the spa within the first week of its opening, and found it heartening to watch Nisha Javeri, its founder and CEO, attending to the minutest details. The apple-based and warm herbal welcome drinks were served with the spa’s monogrammed dark chocolate on the side. Inspired by European architecture, the spa’s modern interiors embrace a fusion of eclectic and elegant elements. The blinking lights on the ceiling capture the essence of a starry night and the heavens above. So lying back and staring at the ceiling, while the therapist works on your body, becomes a form of blissful meditation. “A skin treatment before the summer holiday would defend the skin from the collateral damage caused by UV rays, and the one done after the vacation takes care of the damages from sun exposure,” recommends Javeri. Thanks to the renowned massage, The Royal Aura, I got a chance to select from one of the signature blends offered by the spa. “To calm the nerves, there is Aura Relax, a combination of lavender and chamomile; juniper, cypress and geranium (Aura Detox) relieve tired muscles, and grapefruit and ginger (Aura Energise) leave you with renewed vigour,” elaborated Javeri. Consisting of the best massage strokes from around the world, it was truly a head-to-toe experience that worked on every part of the body. I could feel the stress melt away as the therapist eased the knots in the muscles around the neck and lower back. The unique use of warm pillows provided a soothing effect. When all the muscles were totally at peace, the therapist took charge of the face and scalp. If you are looking for a shortcut to heaven, this is it! Mandarin essential oil relieves nervous exhaustion and induces sleep. Pour a few drops in the diffuser, or rub it on the forehead, for your beauty sleep. Acne-corrector Splash your face regularly with a combination of cider vinegar and lavender oil to soothe acne-prone skin. You can also create your own solution by mixing aloe vera gel with a few drops of tea tree essential oil. Face toner For normal to dry skin, mix one drop each of geranium and chamomile essential oils in 50 ml of rose water. For oily skin, use four to five drops of lavender, tea tree and sandalwood oils in 50-ml distilled water or rose water. Store this toner in a spray bottle and use it two times a day. 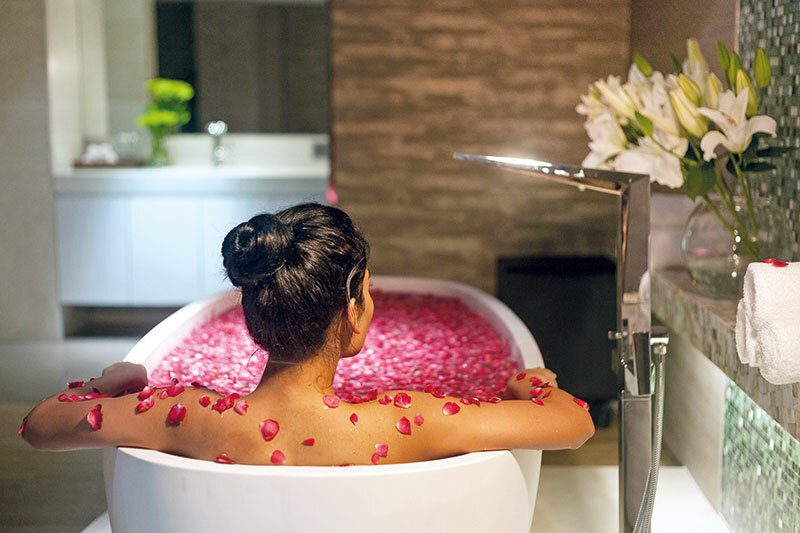 For a wellness haven within the capital, head to Woo Spa at New Delhi Aerocity. Choose from their Thai Meridian Massage, Phytomer Facial and Kama Ayurveda treatments. Get your skin polished with a sea salt scrub, exfoliated with Indian spices, wrapped in cooling aloe vera, and comforted with nourishing coconut butter. The treatments are tailor-made to complement every type of lifestyle and temperament. If you rise with the sun, the restorative Morning Ritual — for the face, body and mind — is intuitively designed to hydrate, purify and energise. A break at midday is the perfect opportunity to indulge in the Mid-Day Care, in which a choice between deep tissue and aromatherapy massages awaits you. Rounding off the time-centric nature of this lifestyle manifesto is the Night Restore, in which anti-ageing treatments like the Ayurvedic Shirodhara ensure that you unwind with ease. For those on the go, there are bespoke express services available too.